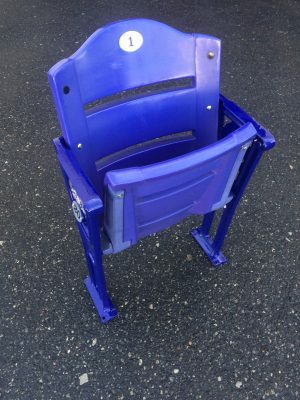 These seats are made using the purple plastic from the 20th row of the upper deck from Coors Field located in downtown Denver, Colorado, the home of the Colorado Rockies! Why purple? (it is actually Columbine blue). While most of the seats in Coors Field are forest green, the seats in the 20th row of the upper deck are Columbine blue to mark the elevation of one mile (5,280 feet) above sea level. 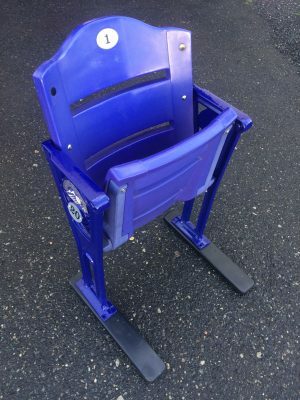 In addition, these seats have figural row end legs from Coors Field that were originally green and we powder coated them to be a similar color as the plastic. Purple plastic from row 20, upper deck of Coors Field. 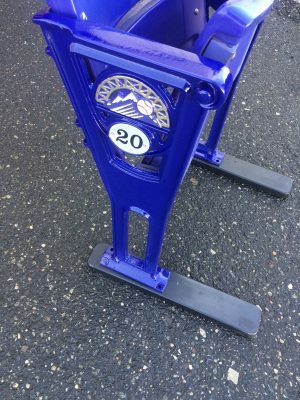 Similar color purple powder-coated floor mount figural row-end legs. 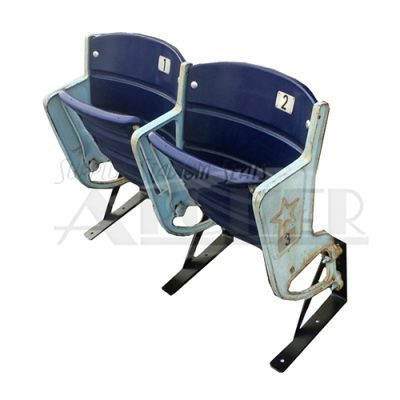 These were originally green color at Coors Field and located in the lower bowl and also the suites level. 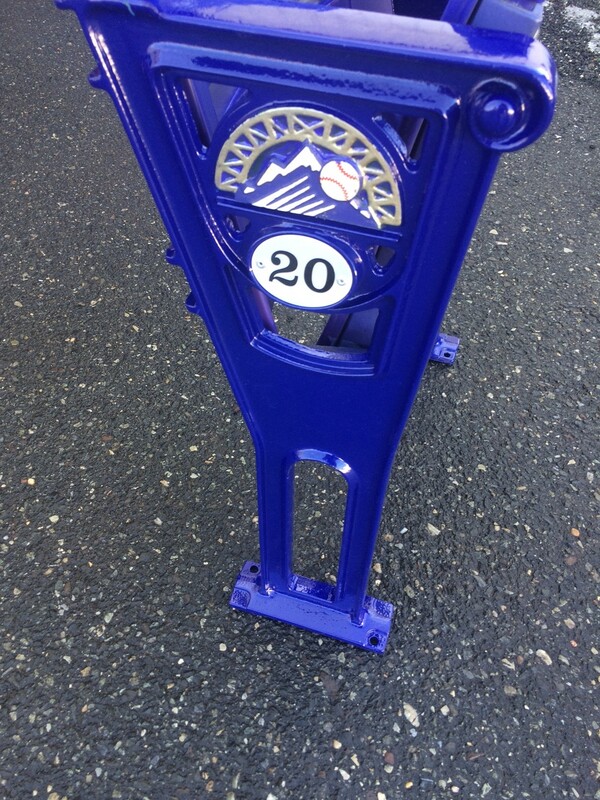 We riveted new row tags on them to match the purple row, which is row 20 of the upper deck.. 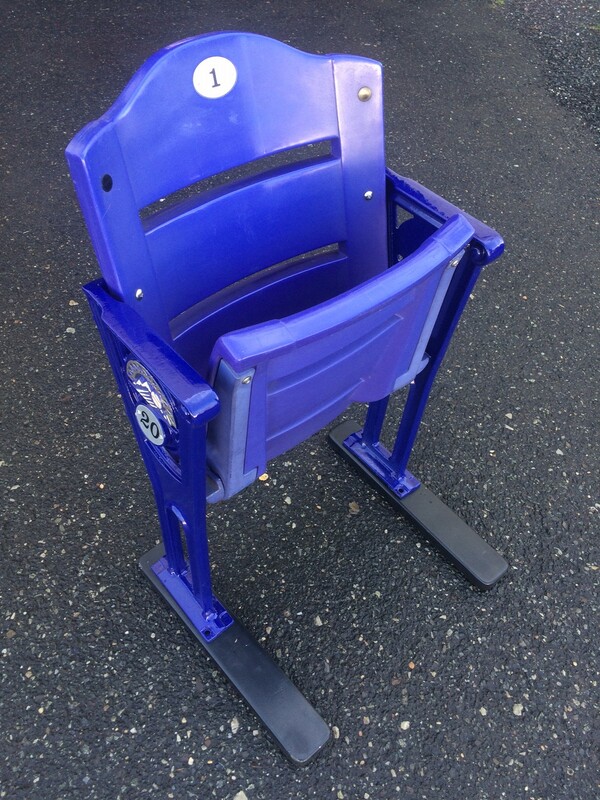 Single seat but can be made into longer rows, based on $145 per leg, please call. 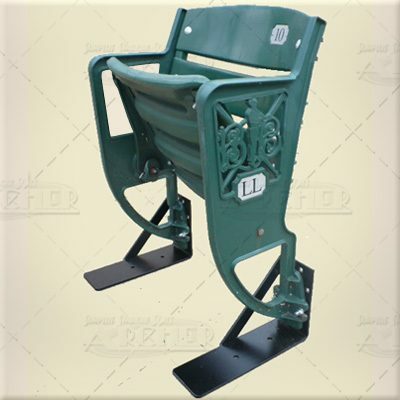 For example a pair would be $435 since three legs are required, a triple would be $580 since 4 legs are required etc. and so forth…, plus Fedex ground or trucking..
We leave the paint on the figural image as it is from the original green legs, it is not repainted. We cover it with tape when we powder coat the rest of the leg. Any small green areas in the figural are touched up by hand with oil based paint matching the original columbine blue. 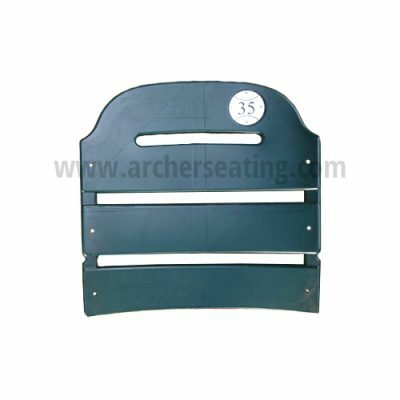 Comes with the black wooden feet to keep stable for use. If you don’t want or need the wooden feet give us a call and we will reduce the price by $20 per leg.